Sodagreen’s Tickets at Taipei Arena were Sold out in Minutes. Let’s Review Their New Songs. Sodagreen’s 2015 “Endless Story（故事未了）” concert will be held in Taipei Arena from Dec 11th to 13th. They not only try the arena stage for the first time, but also invite the symphony orchestra led by Bernd Ruf from Berlin, presenting the original version of “Winter Endless（冬　未了）”. The tickets were released at 11 am on Nov 10th and were sold out in only ten minutes. TixCraft Ticketing System（拓元售票系統）then closed the ticketing system and reopened the system at 2 pm to sell some tickets after checking the account. Sodagreen has launched “Vivaldi Project（韋瓦第計畫）” in 2009. 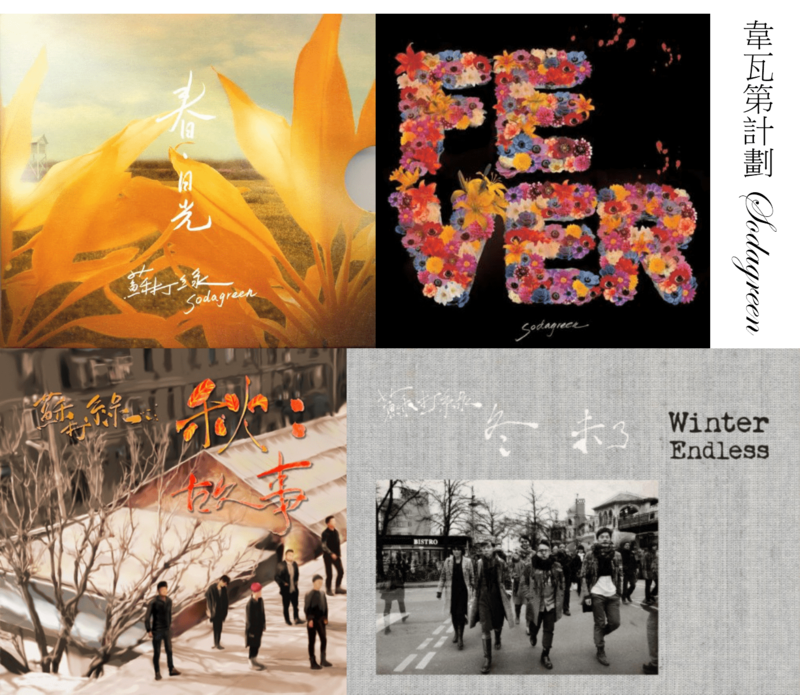 To record the four albums that match the four seasons, they’ve visited four international cities ─ Taitung, London, Beijing and Berlin and they’ve even paid particular attention to the matching of clothing and hair color. After releasing the warm “Daylight of Spring（春，日光）”, rock “Summer/Fever（夏／狂熱）” and poetic “Autumn: Stories（秋：故事）”, Sodagreen suddenly announced this mid-Sept that they are going to release “Winter Endless”. 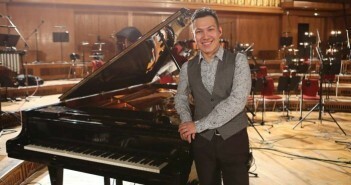 This time, to bring a tremendous ending to the four seasons, Sodagreen has come to Berlin to record the music video with a symphony orchestra consisting of 60 musicians, integrating Sodagreen’s unique poetic songs with string music and adding more storytelling and musical elements to the music video. 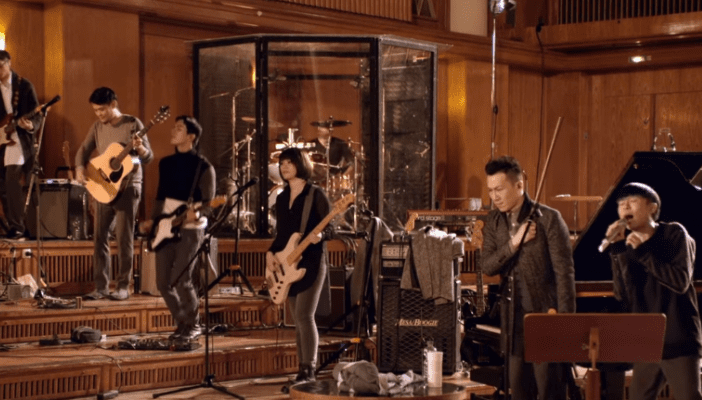 The first single, “Everyone” is the first English song composed by Sodagreen and it is a love song Wei（小威）the drummer wrote to Greeny（青峰）secretly a few years ago. The music video was shot in Berlin, recording the history of the city with the camera. Sodagreen has shown different areas of the city in the music video, raising the curtain of the upcoming “Winter Endless”. The second being released is “Violently Sad & Beautiful（痛快的哀艷）”. Sodagreen has made two different styles of music video for this song. The violent one is directed by Born（李柏恩）from OneTwoFree（自由發揮）; the sad & beautiful one is directed by Robert Bröllochs, the German director. Sodagreen says “After the performance, the director even told the group members that he just cried.” Both of the versions are highly recommended. A while back Taiwan has rained constantly and was even hit by typhoon once in a while. Sodagreen’s third single “A Rainy Night（下雨的夜晚）” will really comfort you on a night like this. Sodagreen presents their optimistic side in “Everyone” and their daring side in “Violently Sad & Beautiful”; while in “A Rainy Night”, they are the Sodagreen that want to accompany you at any time. The recently released song “He Raises His Right Hand for the Rollcall（他舉起右手點名）” is full of storytelling and musical tension. In the live version, Sodagreen is seen performing together with an orchestra. “He Raises His Right Hand for the Rollcall” is about a group of people taken to the concentration camp by Adolf Hitler（希勒特）. Sodagreen depicts their feelings of being abducted in the train and travel to the unknown end. After hearing this song, you will probably be subdued by the different charm of Sodagreen.